Huawei Honor Magic 3 Exposure: Full-Screen, Front Double Cameras, New Design! You are at:Home»LATEST NEWS»Huawei Honor Magic 3 Exposure: Full-Screen, Front Double Cameras, New Design! Huawei has not made a big effort in this year’s mobile phone market. 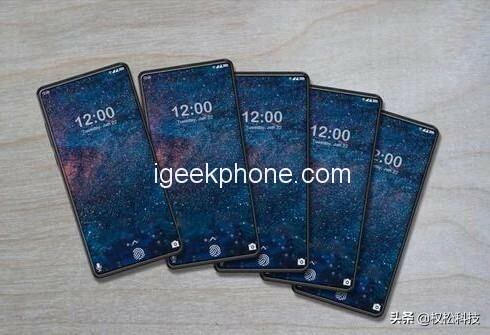 At the beginning of the year, only a mid-end flagship machine was released, and it has already accumulated MWC2019. 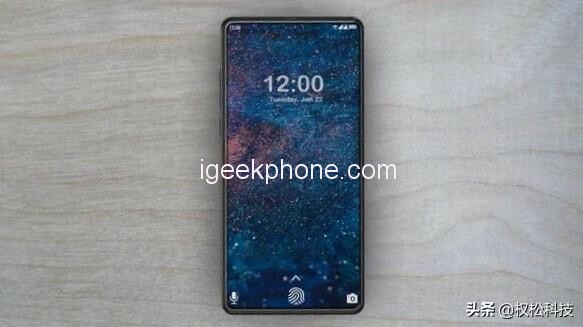 According to the current exposure, Huawei will be in the flagship market in 2019. A number of flagship products have been released. The first one is the new Huawei P30 series. There is already a lot of news about these flagship series. Today we will pay attention to a flagship phone of Huawei honor. The Honor Magic 3 will It will be one of the top flagship phones of Honor in 2019. The name of the Honor Magic 3 is called Huawei honor Magic 3. Huawei Honor Magic 3 will adopt a new design concept. In the front design of the new phone, Huawei Honor Magic 3 adopts a new design for lifting the camera, and the new phone continues to adopt a comprehensive screen design. The screen ratio has not been greatly improved. 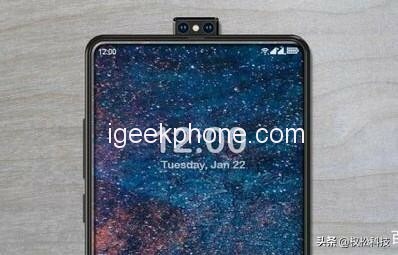 The front frame of the new phone has also achieved the same width. The Huawei Honor Magic 3 has a front-mounted dual camera that can be raised and lowered. It looks very cute. In the back design of the new phone, the new Huawei Honor Magic 3 will be made of the glass body, the three shots on the back are still arranged vertically, in the upper left corner of the fuselage. On the whole of the new machine, Huawei Honor Magic 3 continues the square body design, the back of the fuselage has almost no change, the frontal change is very huge. Huawei Honor Magic 3 will use Huawei’s own top-level processor. This processor is Huawei’s widely used Kirin 980 processor this year, but with a few differences, Huawei Honor Magic 3 will support 5G networks. In the memory combination of the new machine, the new Huawei Honor Magic 3 will start with a 6GB+128GB memory combination, and the new machine will have a version of 8GB+256GB. This combination is also the mainstream match of the flagship phone. 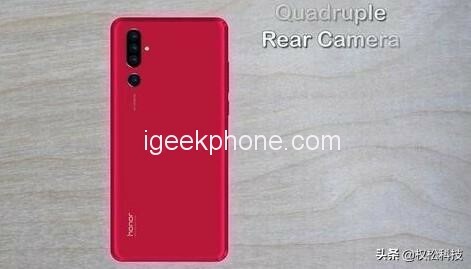 In the camera combination of the new machine, Huawei Honor Magic 3 will be equipped with a rear-mounted 48-megapixel camera plus a single 20-megapixel camera plus a single 8-megapixel camera. The main camera supports optical image stabilization. On the front camera of the machine, the Huawei Glory Magic 3 is equipped with a single 20-megapixel plus a single 8-megapixel dual-camera combination. In terms of other configurations of the new machine, Huawei honor Magic 3 will support facial recognition and offline fingerprint recognition. Also Read Huawei Honor Magic 3 Accidental Exposure: Full Screen Sliding Design, Kirin 985 Arrival! At the launch time of the new phone, the new Huawei Honor Magic 3 will arrive in the second half of this year. According to the previous release time, this time Huawei Magic 3 will be from November 2019 to December 2019. Officially released, and the new Honor Magic 3 will be officially launched in 2020, this time seems very far, but it is a normal development cycle of a mobile phone. In terms of the price of the new phone, Huawei Honor Magic 3 will continue to position the high-end flagship market. The starting price of the new Huawei glory Magic 3 will be It will be 3,999 yuan ($593.39), and the price is still very high-end. At present, there is only so much news about Huawei’s Honor Magic 3. Next Article iPhone XR2 Exposure, A13 Processor, Small Notch Design!